ECU Tendinitis is a condition common among people who play racquet sports or basketball and involves an inflammation of the tendon that runs along the back of the wrist on the pinky side. Baseball pitchers may suffer from this when their throwing mechanics are deficient. Any repetitive action from a non-ergonomicaly correct position that entails twisting or backward flexing of the wrist—like returning a tennis ball or shooting a basket—can put strain on the ECU tendon to the point of tenderness, pain and actual tearing. 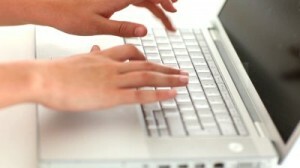 Malposition of the hand while using a mouse or computer keyboard may also be a contributing factor. Mild cases of ECU Tendinitis can be treated with rest, splinting and non-steroidal anti-inflammatories, whereas severe instances can necessitate cortisone injection or surgery to repair the tendon and its sheath which anchors it to the ulna head and wrist (aka subsheath).